Millie Bobby Brown was having a great day on Monday. After her hit Netflix show received a Golden Globe nomination, the 12-year-old attended UNICEF's 70th anniversary event in New York City where she hosted their 'youth takeover'. And while she may still be in her pre-teens, Millie proved she has already nailed red carpet glamour. 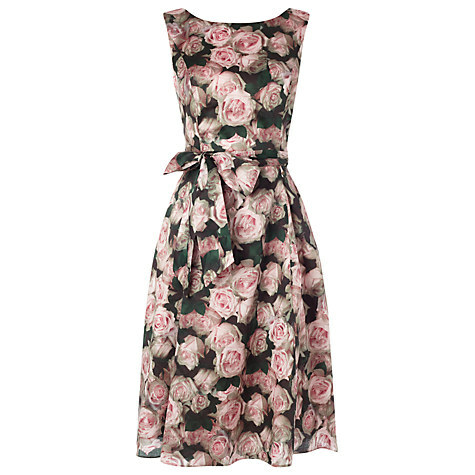 The actress looked stylish in a long pale pink dress with black trim, which featured a floral print. Millie added some sparkly black shoes and a little red lipstick. The Stranger Things star spoke on stage with David Beckham during the bash and later posted a photo with him on Instagram. Millie Bobby Brown hosted the UNICEF's 70th anniversary event youth takeover in New York this week and we couldn't think of anyone more charismatic for the job! But it wasn't just Millie's hosting skills that set her apart at the event, just look at her outfit too! We've always been fans of Millie's style and she always looks so grown up at red carpet events. 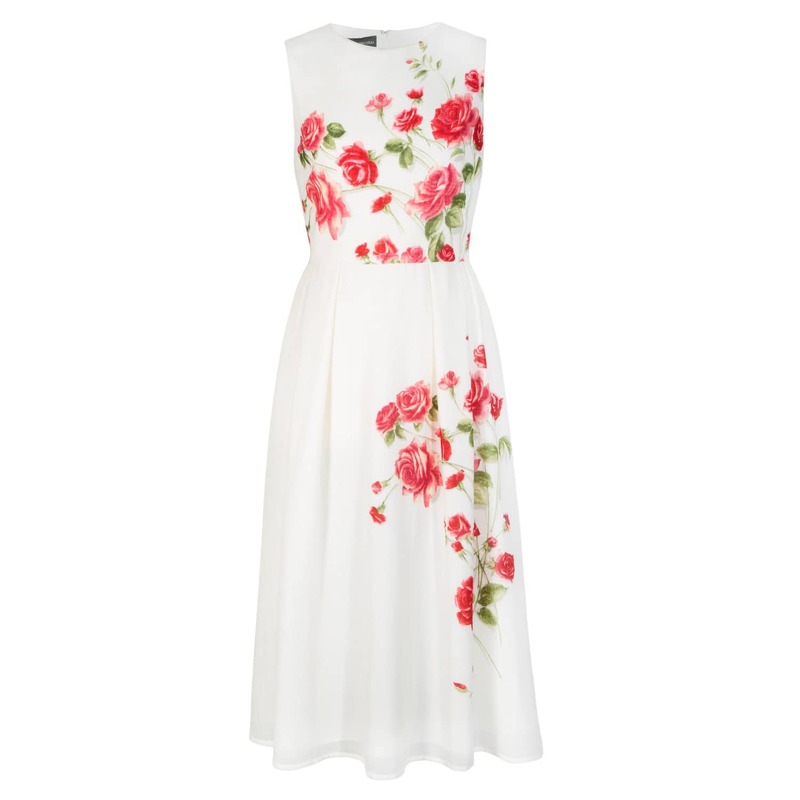 We've already seen her previously wear Red Valentino, Coach 1941 and Topshop - she's got a clear penchant for fashion. Here at the UNICEF event however Millie was donning Kate Spade from head to toe, including her ring and shoes too! 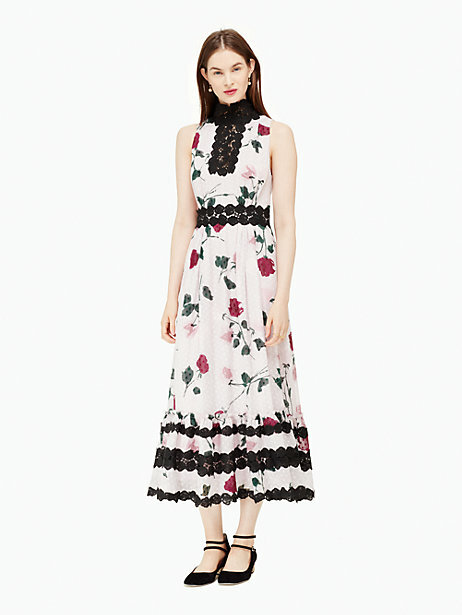 And what a beautiful dress with its pretty rose print and lacy details. You sadly cannot shop this pick from the autumn/winter 2016 collection any longer, but click right to see other pieces from the current line. 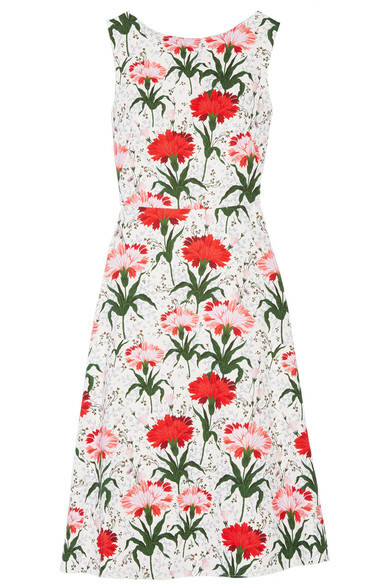 If you want to float in florals like Millie, check out the line up of similar sleeveless options below. 'Thank you @davidbeckham and #audreyhepburn for inspiring me to use my voice and platform for good,' she wrote. 'Tonight was incredible. Earlier in the day Millie had shared a video on social media to express her delight that Stranger Things had received two Golden Globes nods. 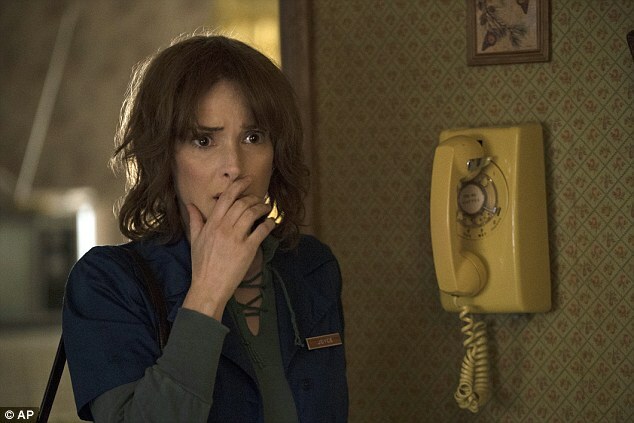 The show is up for Best Television Series, Drama, while Winona Ryder is also nominated in the Best Performance by an Actress in a TV Series, Drama category. The youngster portrays Eleven, a girl with telekinetic powers, in the smash hit series. 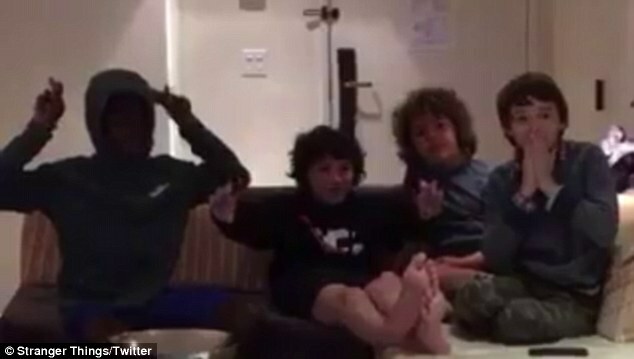 Meanwhile her co-stars Finn Wolfhard, Caleb McLaughlin, Gaten Matarazzo and Noah Schnapp all watched the announcement together on Monday morning. The boys - who were on a couch in a hotel - screamed when they heard their show announced, before sharing a group hug. Stranger Things will return for a second season in 2017.